shoal creek residence — A Parallel Architecture. Austin, Texas. 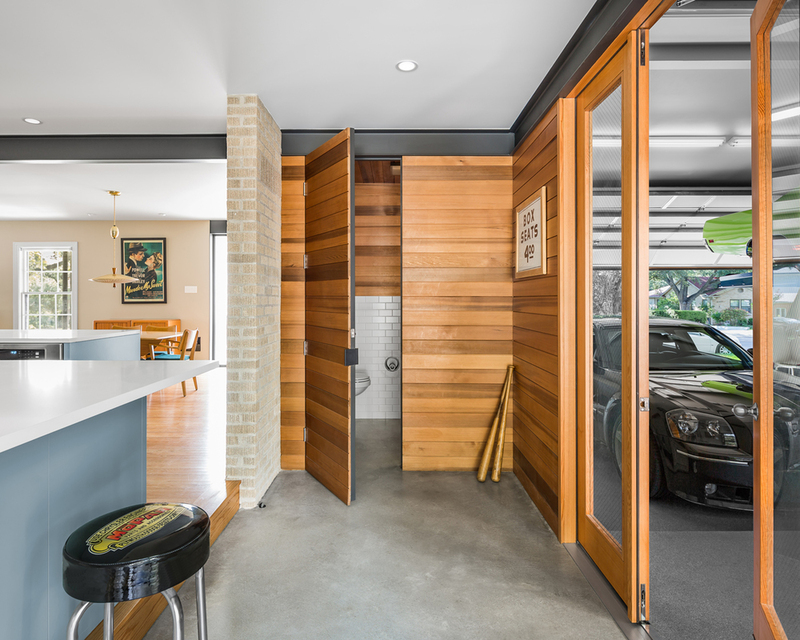 Our challenge was to renovate this mid-century house while maintaining and enhancing the heritage of the home and the character and scale of the street. Once a series of isolated rooms, the dining, living, and kitchen are opened up to create a visual and direct connection to the transformed rear garden. A relocated entry better serves host and guest alike, while the new kitchen becomes the nucleus of the home. For an avid automotive enthusiast, the expansive new garage houses our client’s car collection and offers a comfortable space to work, relax and enjoy.